I think as parents we are always on a quest to feed our family healthier foods, at least I know I am. I have been searching for tasty and organic foods that have nutritional benefits to feed my children as on the go snacks and most importantly to pack in their school lunches. So as soon as I discovered Tasty Brand and found out I was going to be doing a review I was thrilled! 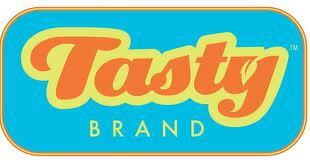 Tasty Brand is a line of healthy, organic and tasty treats for kids and parents alike. 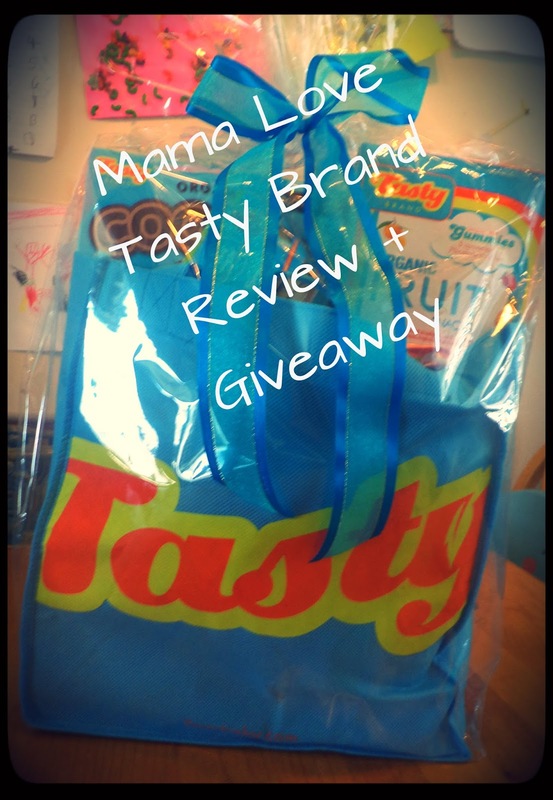 This brand was created by two moms looking to make a snack yummy enough to satisfy their kids’ sweet tooth without all the unhealthy ingredients. These products are certified organic and made without GMOs, high-fructose corn syrup or anything artificial, and they are delicious! Our Gift Pack was full of a variety Tasty Brand Gummies, and 100 Calorie pack Chocolate Chip Cookies all packed cutely in this fantastic Tasty Brand Reusable Bag! I mean what's not to love about a fruit snack that is Certified USDA Organic & contains no GMO's, high-fructose corn syrup or artificial colors or flavors!? These have been a huge hit in our house, before my children would not eat regular big box store fruit snacks, they always asked for them but if I bought them the inevidetly went to die in our pantry, but with these they LOVE them, always are asking for them, and My son Loves to take them in his school Lunches, which is fantastic because their school does not allow “un-healthy items” to be brought to school, but my son really wanted a treat, so TASY BRAND is perfect, Healthy, Fun, and Yummy! These Fruit snacks come in a variety of flavors, like wild berry, smoothie, super fruit & even mixed packs are available. Tasty Brand 100 calorie packs of Organic cookies, my munchkins were over the moon excited for these! These cookies are shortbread, star-shaped cookies with out-of-this-world taste! Baked with healthy sweet potato in the dough, for added nutrition & sweetened with Agave nectar instead of refined sugar, these are the best guilt-free snacks in the galaxy! Individually wrapped in 100-calorie bags for convenience! These Cookies Have become a daily request in our house, I have even caught my husband taking them with his lunch to work, and unlike other cookies I’m actually happy to let my family snack on these! 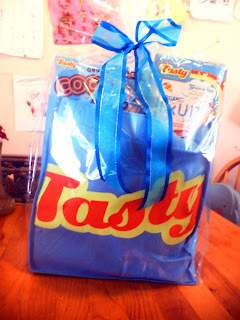 Overall Tasty Brand was a huge hit with my family. The cookies & fruit snacks arrive in little convenient packages, great for lunch boxes, car rides & the actual snack itself is a perfect size for little fingers! 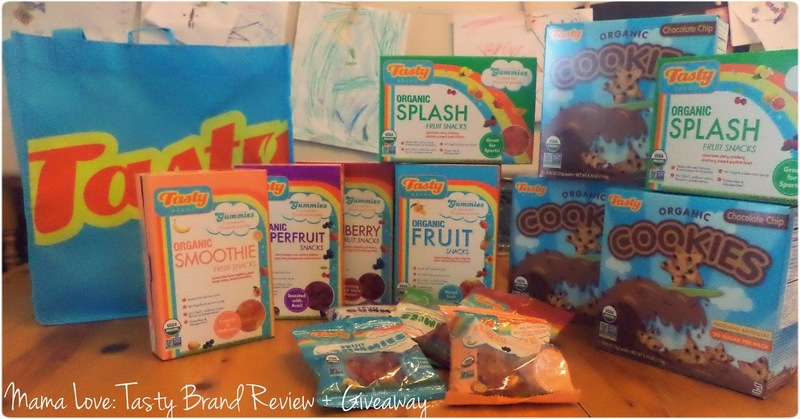 With Tasty Brand you can rest easy knowing that you are providing a healthy kid approved treat and that’s definitely a win-win situation! 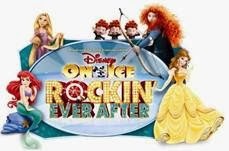 Better yet, you have a chance to win a gift pack similar to mine right now!?! Simply follow the rafflecopter below!